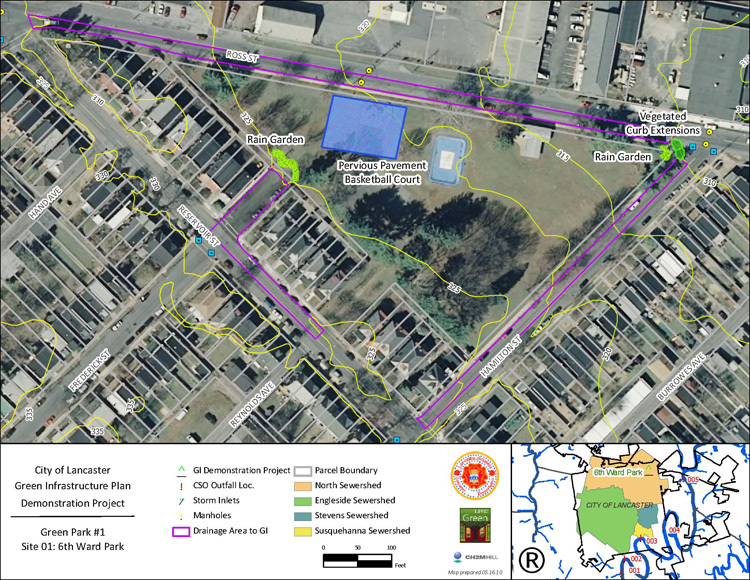 The Green Infrastructure Plan builds on the City’s previous investment in the Urban Park, Recreation and Open Space Plan completed in 2009, proposing green infrastructure retrofits of 26 of the City’s 30 parks in addition to already planned park restoration and reconstruction projects. 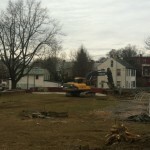 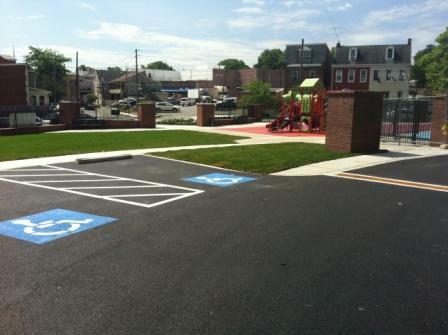 As part of the Southwest Revitalization planning completed in 2007 neighbors identified the importance of two small parks that, once transformed, could serve as a positive catalyst for the community. 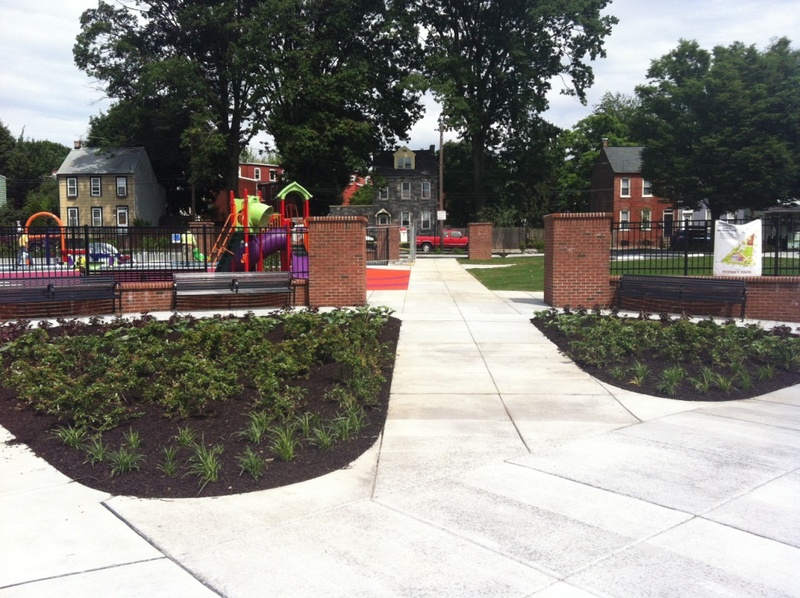 Enhancements include a kids pool at Rodney Park and basketball court at Crystal Park, these amenities along with open green space and kid play areas are much needed. 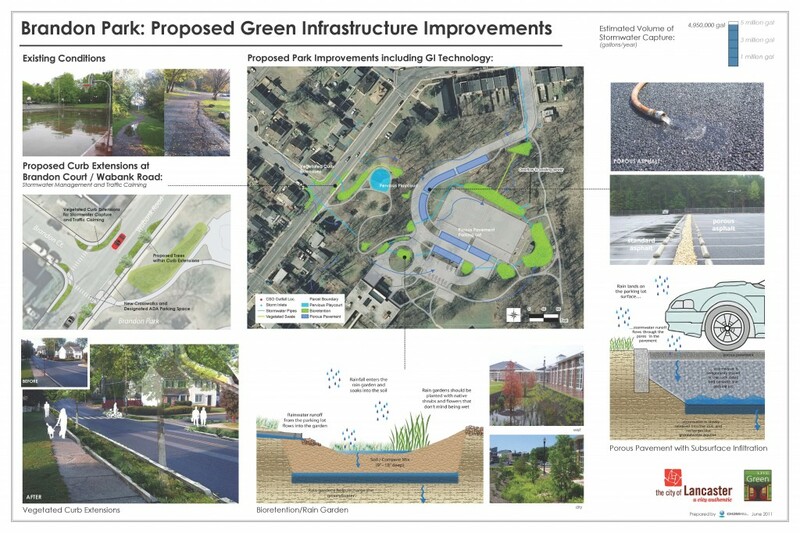 In addition, green infrastructure improvements including permeable surfaces (basketball court and parking areas), rain gardens (bio-retention), and vegetated curb extensions will assist in capturing rain water runoff to move the City closer to its 25 year goal. 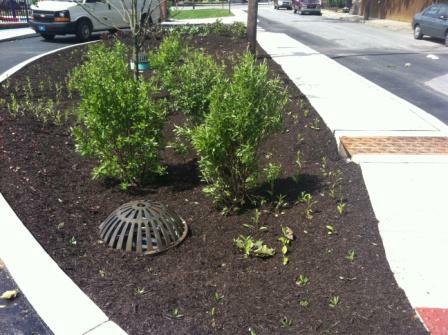 Many green infrastructure techniques are incorporated into Rodney Park including bio-retention / rain gardens pictured above to capture runoff along Rodney Street. 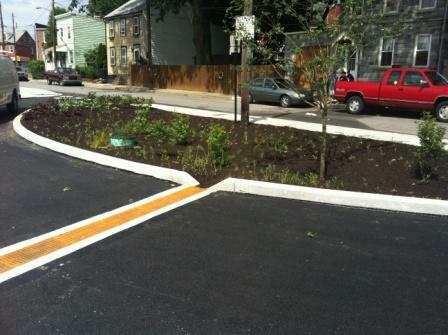 The parking along Crystal Street is back-in parking constructed of porous asphalt and can manage runoff from most of Crystal and a portion of the adjacent alleyway. 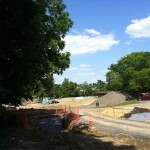 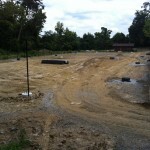 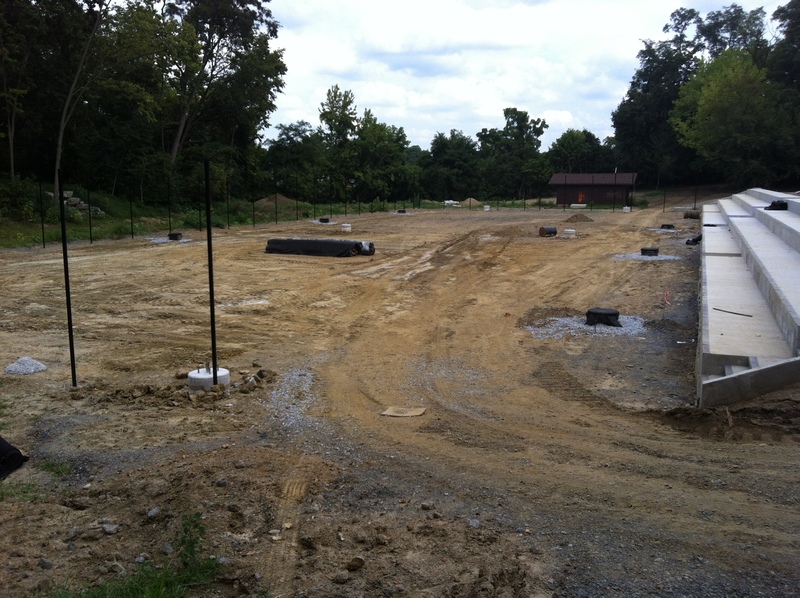 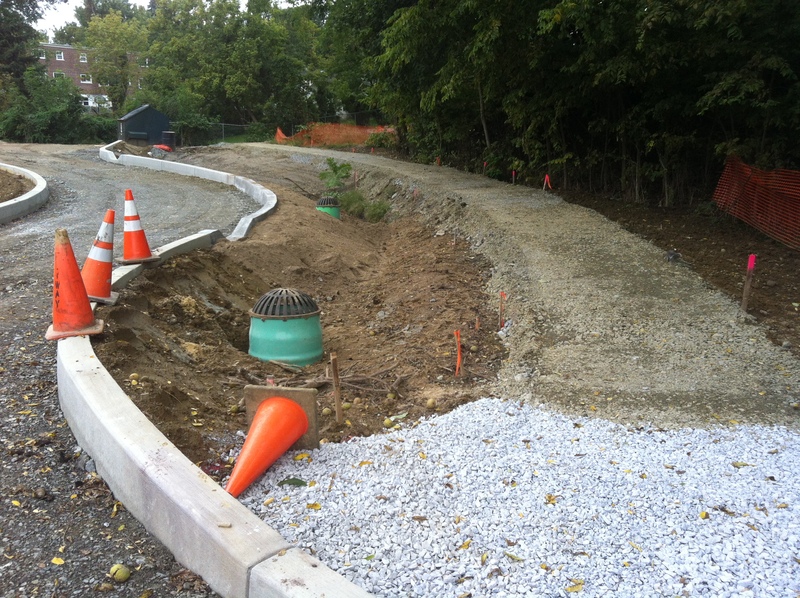 All of these improvements will allow this park to capture approximately 600,000 gallons annually. 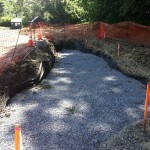 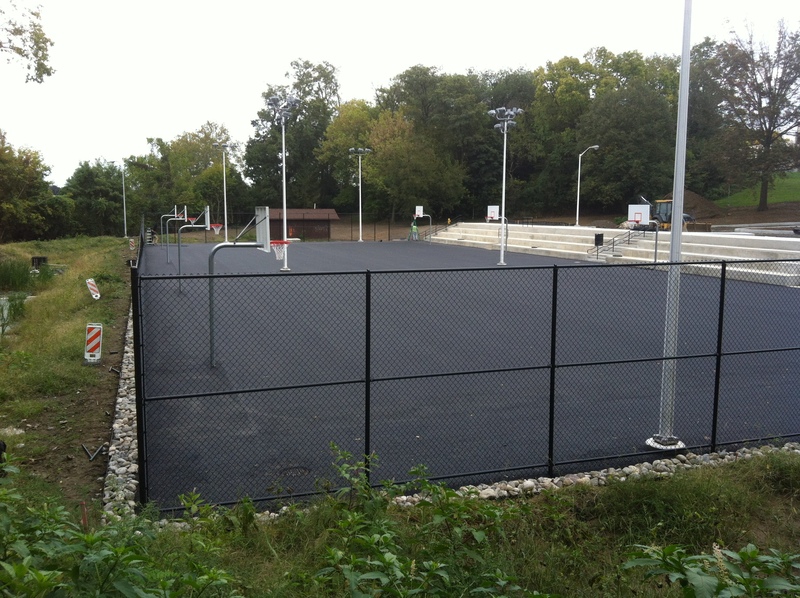 The porous pavement basketball court is constructed to manage additional upland runoff from a large parking area that is directed into the infiltration bed beneath the court. 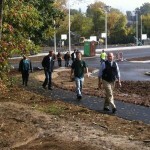 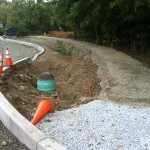 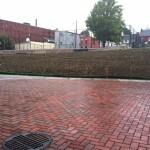 The plaza / picnic area is constructed of permeable pavers (see above) that collect runoff from the hill side. 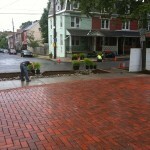 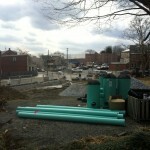 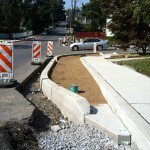 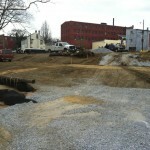 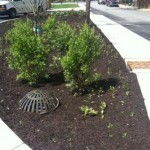 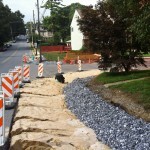 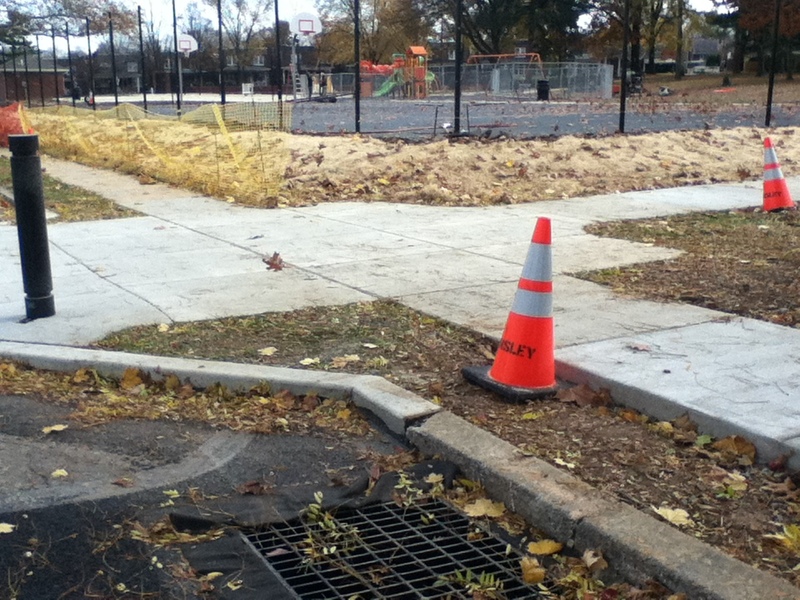 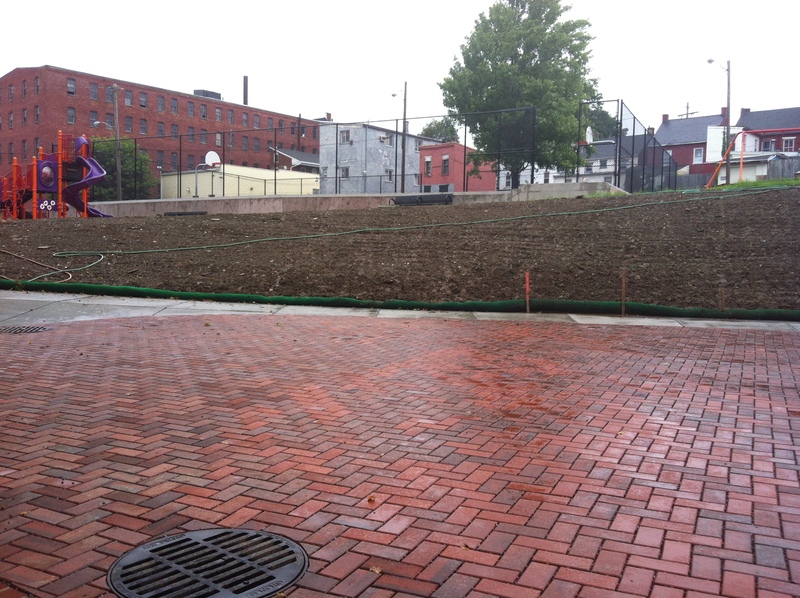 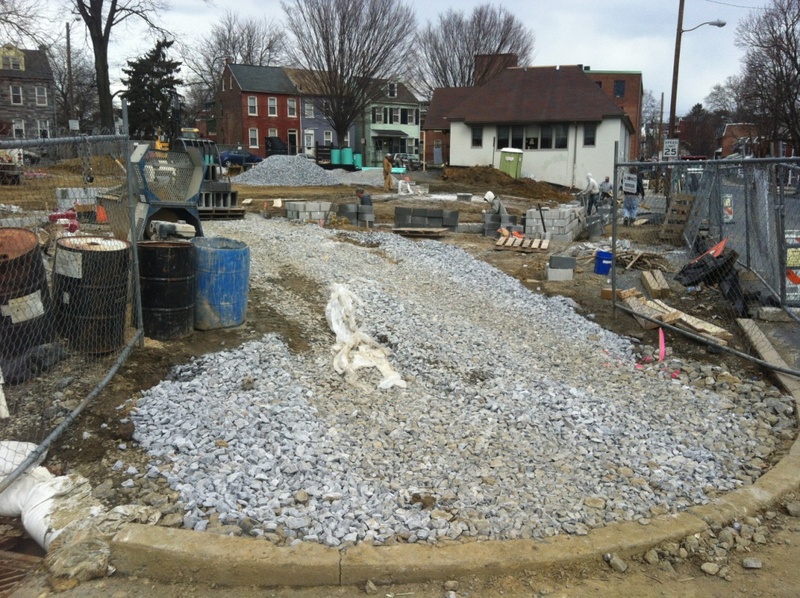 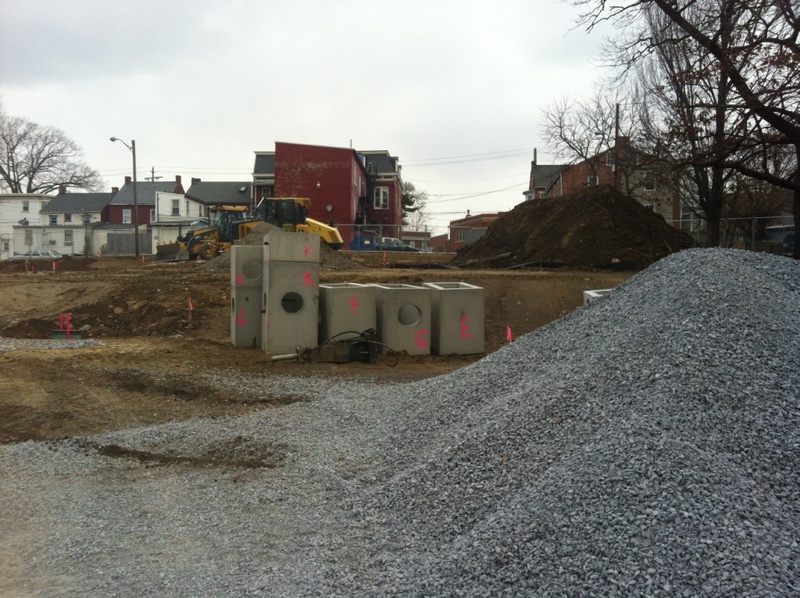 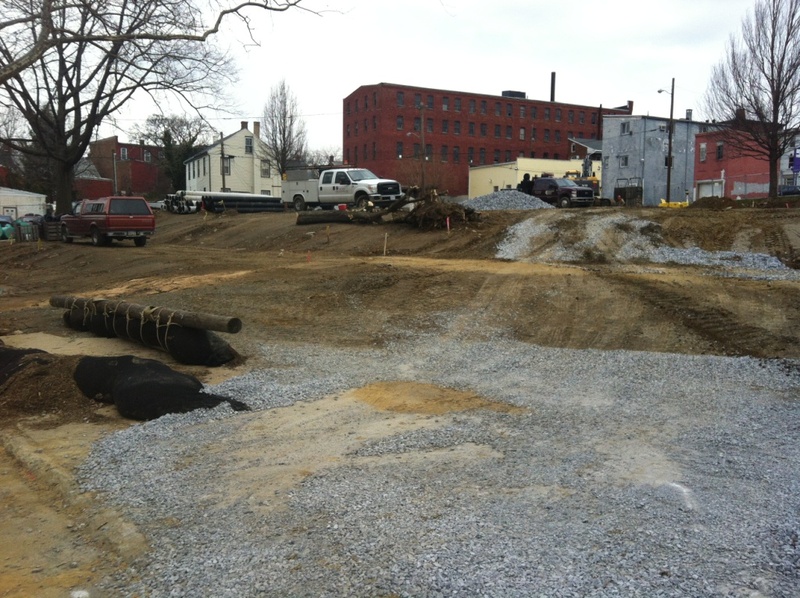 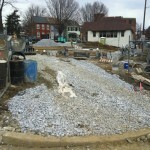 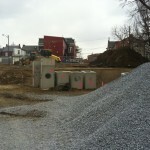 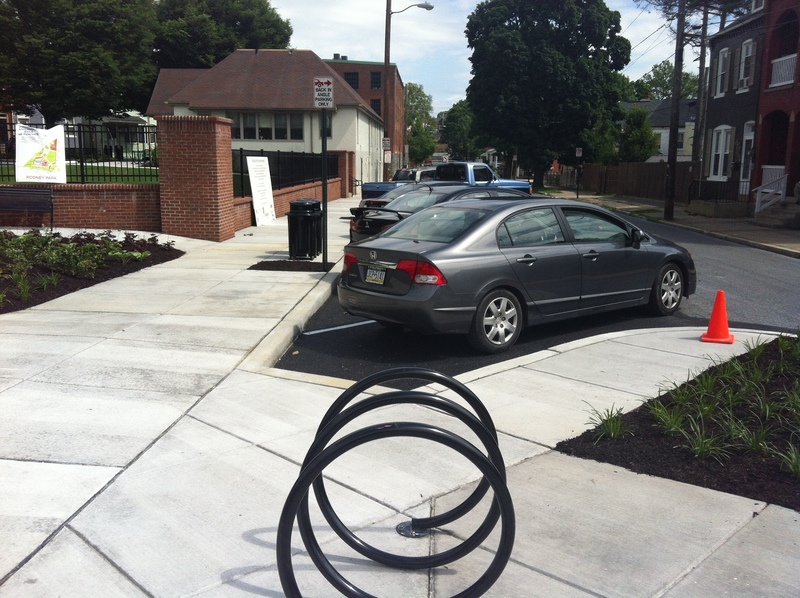 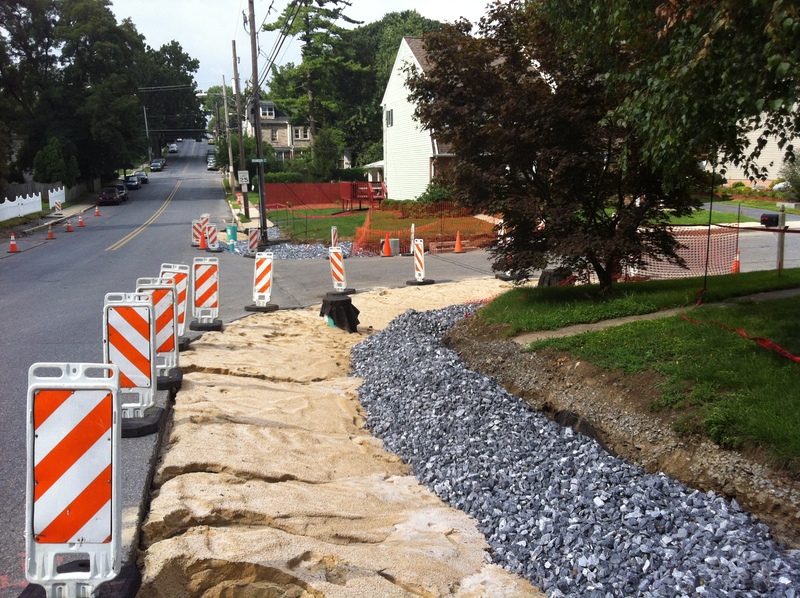 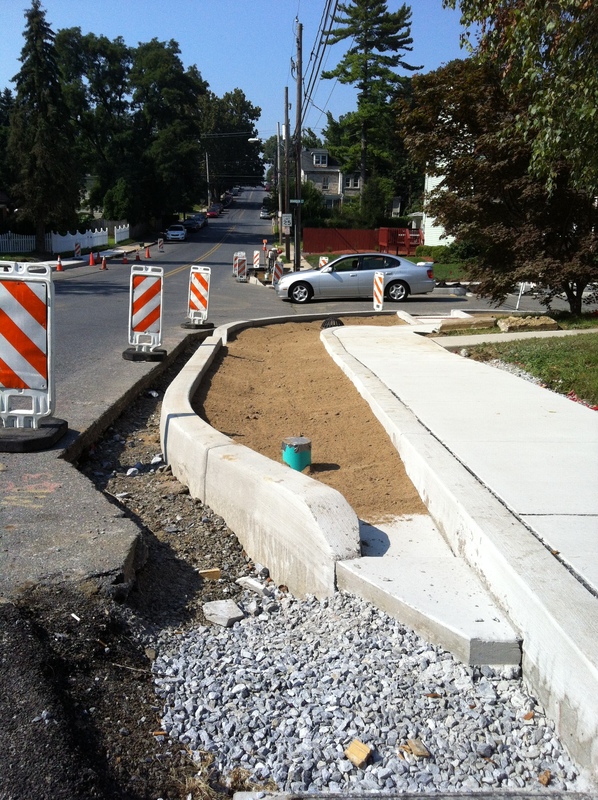 Bio-retention / rain gardens along First Street and the corners of Crystal will capture road run-off. 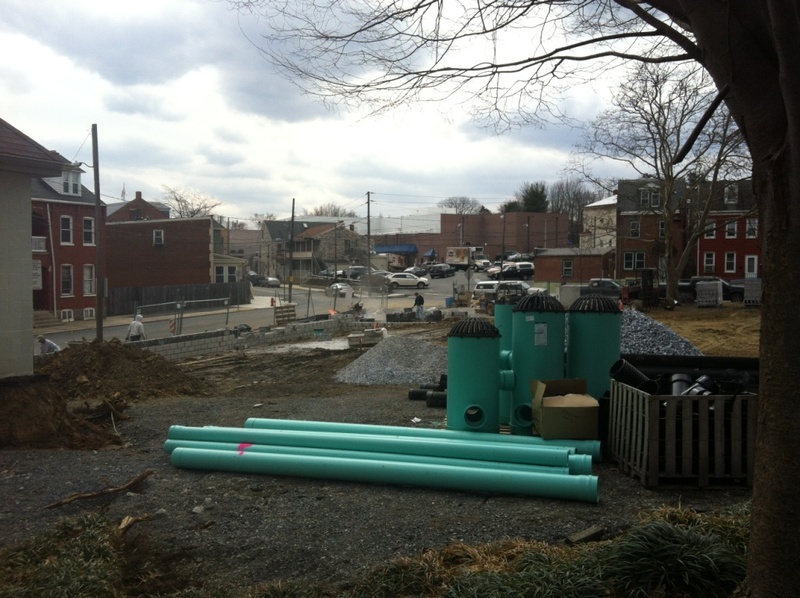 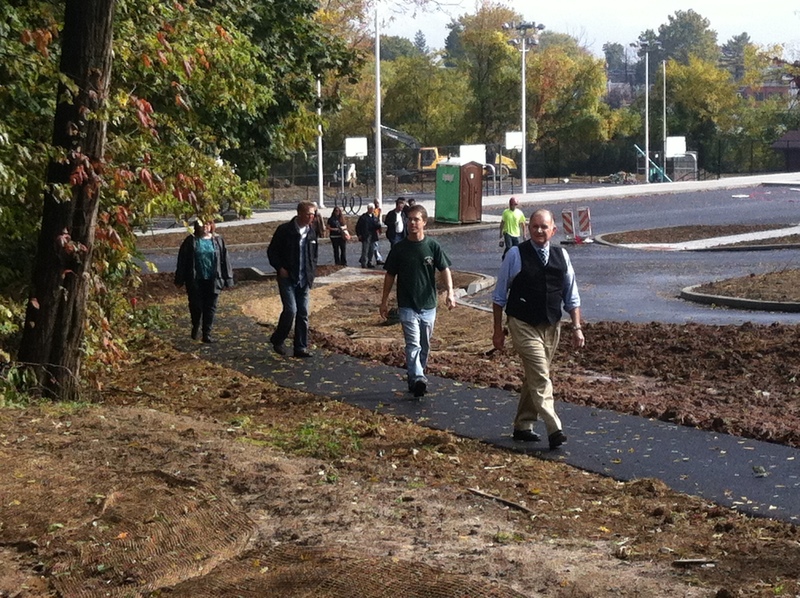 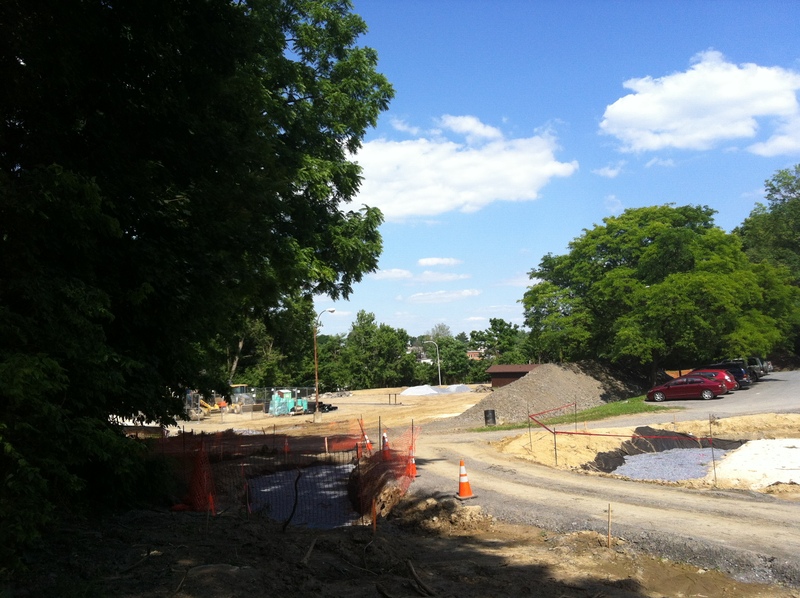 Combined these green infrastructure improvements will capture and estimated 750,000 gallons of water per year. 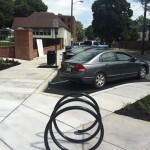 Public art takes center stage at Rodney and Crystal Park’s. 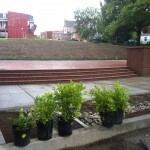 In addition to numerous stormwater enhancements at both parks; functionality, beautification and public art are of equal importance helping to make each park unique. 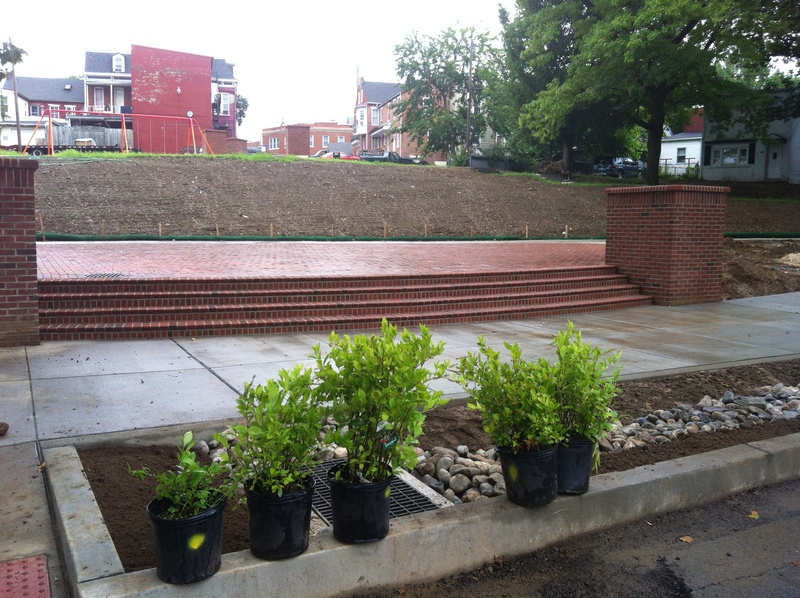 Crystal Park includes a cistern pump which indicates how much water was recently collected during a rain event. 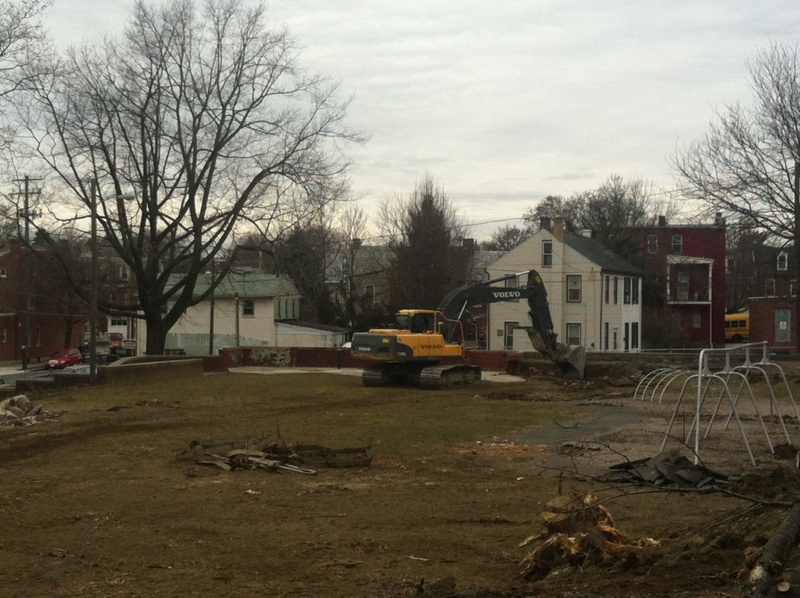 The image below shows the play area in the foreground and porous basketball court in the background. 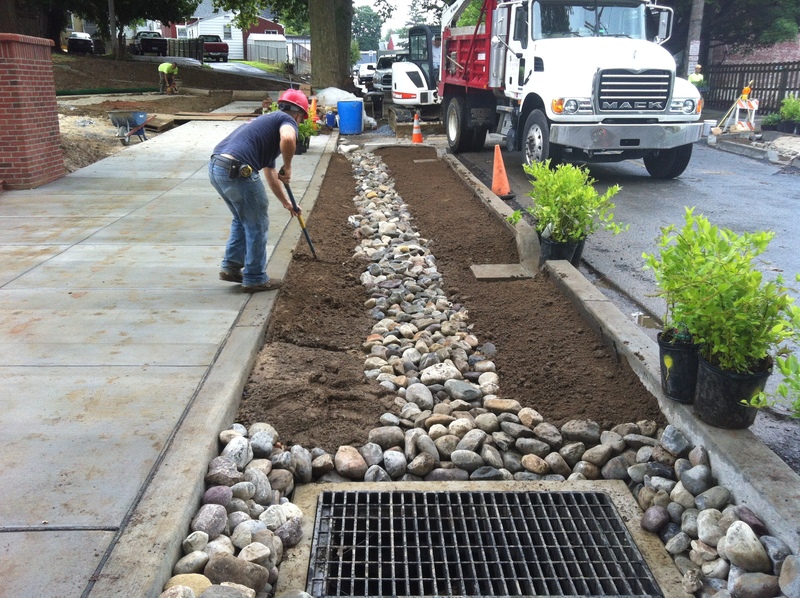 Brandon Park manages runoff from upland streets in vegetated curb extensions, bioretention gardens, and porous pavement, managing 4 million gallons annually. 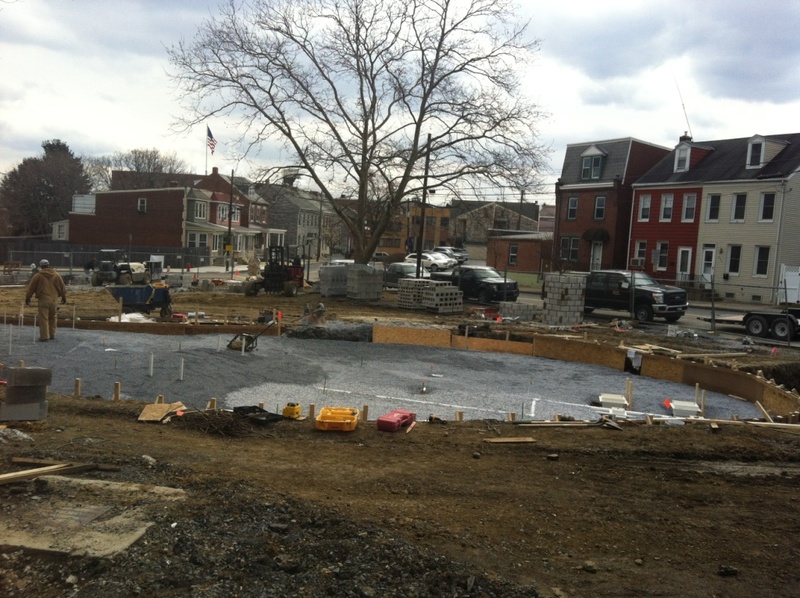 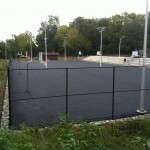 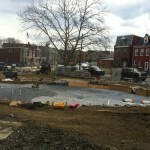 The basketball courts are constructed with permeable macadam. 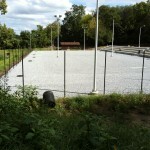 An infiltration bed under the court helps capture and retain the water that fall on the court. 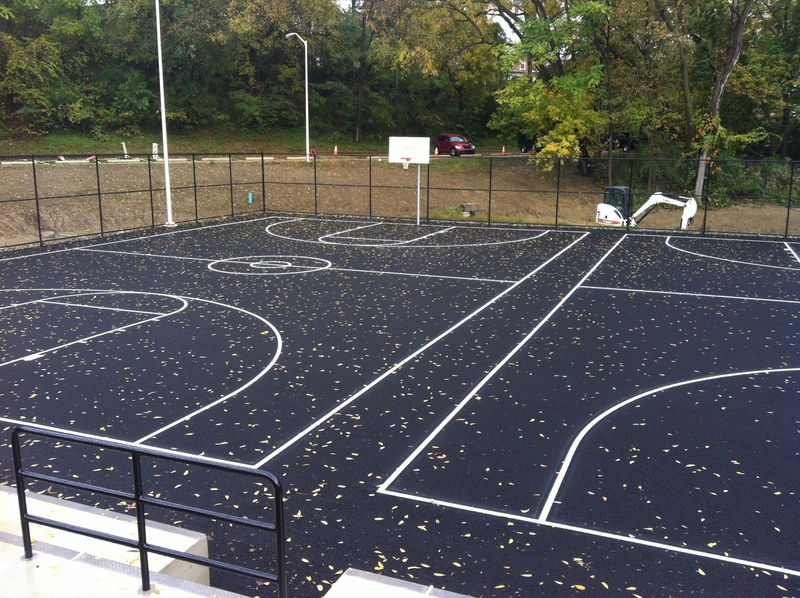 In addition to capturing water local basketball players appreciate the fact that there are no puddles after rain and local residents comment on how the sound from the bouncing ball is muted (less noise). 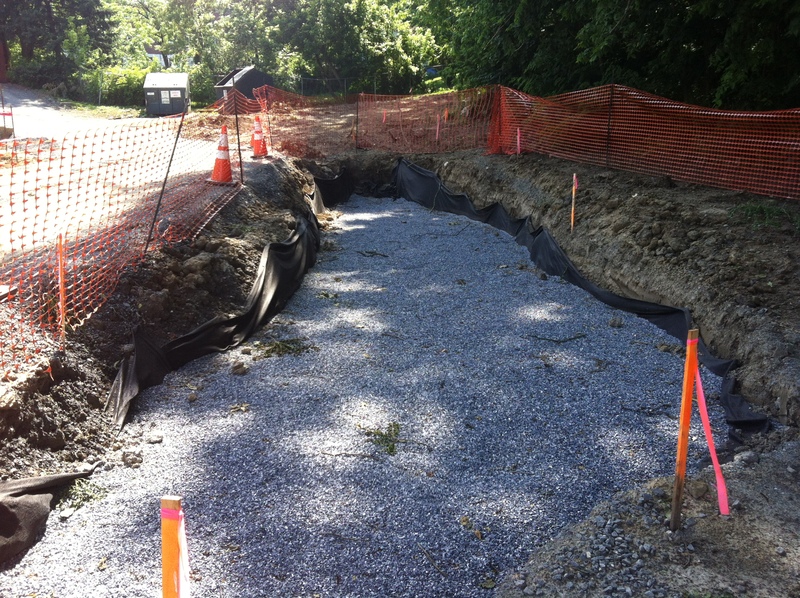 Above images show various stages of construction for the vegetative curb extensions along Wabank Road as well as the tiered bioretention rain garden areas throughout the park ! Sixth Ward Park is an example of a happy marriage of two plans: the Urban Park, Recreation and Open Space Plan (UPROS) completed in 2009 and the Green Infrastructure (GI) Plan completed in 2011 (both generously supported by the Pennsylvania Department of Conservation and Natural Resources). 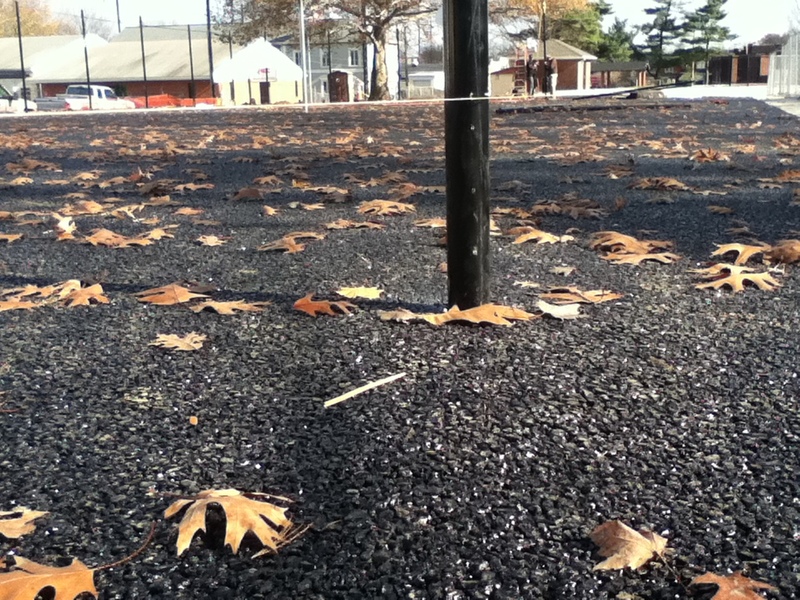 The UPROS Plan focused on improving park amenities like basketball courts, play equipment, picnic areas, restroom facilities and water features. 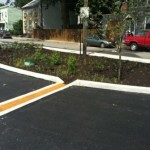 The GI Plan focused on how to use parks to manage stormwater from adjacent streets and buildings. 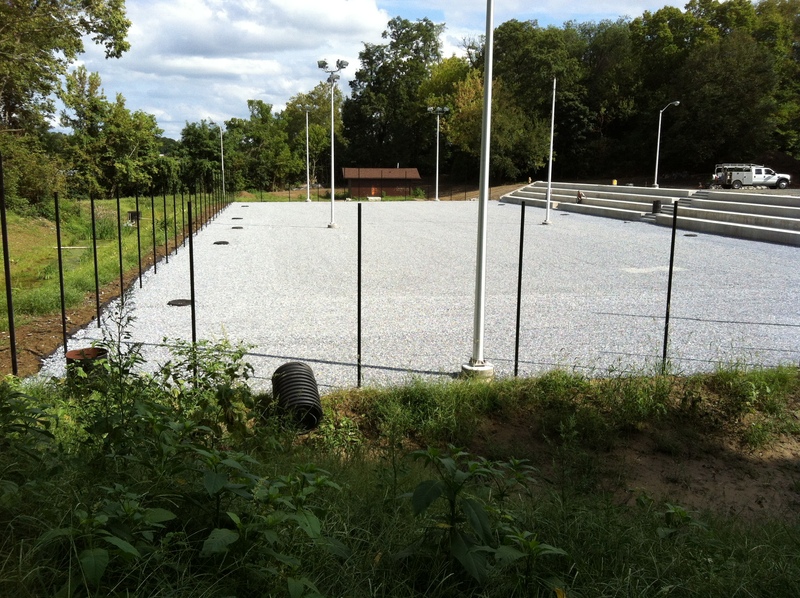 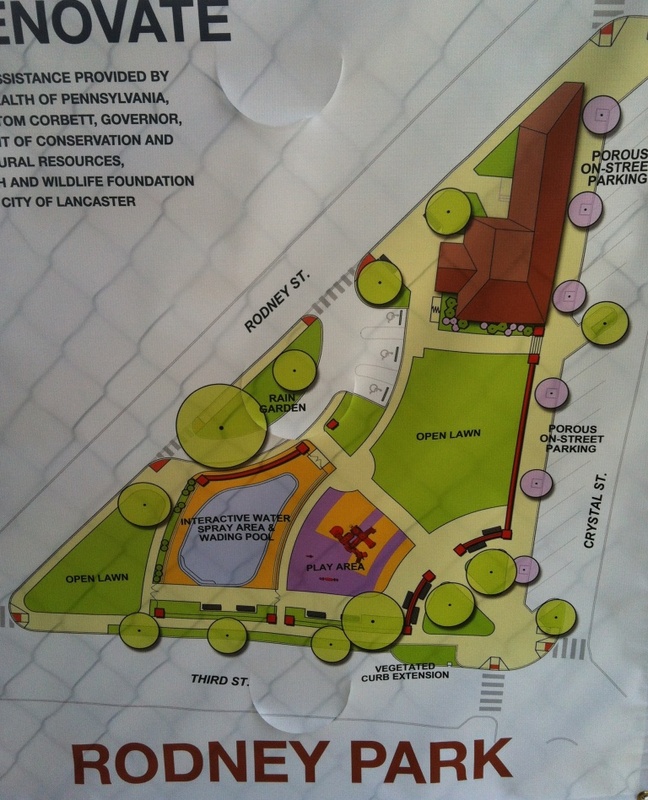 So when the plan for the park included a new basketball court, the City began looking at building a porous play surface with an infiltration bed of stone underneath to manage stormwater from Ross and Reservoir Streets. The result: a basketball court that never gathers puddles, is quieter and manages some 700,000 gallons of stormwater annually that would otherwise flow into the combined sewer system.